In January 2013, Lena Redding walked into my life. It was a slow and courageous walk. In the year that followed, her steps became lighter, quicker and more determined. I have had the great joy and privilege to be a part of that journey. Allow me to digress in order that I may explain. Lena was recently featured in an article in the Personal Best section of the Tampa Bay Times. Writer Irene Maher shared Lena’s new found love of Zumba and how she has made the decision to inspire and motivate others to becoming fit and healthy no matter how large they are. 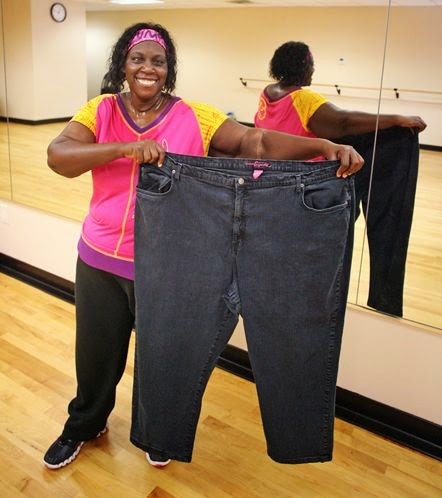 (Lena began her own journey at 324 pounds.) However, that is only part of the story. Lena’s journey merged with mine when she decided to undergo the Virtual Lap Band™ program. Lena said, “I always knew I needed to lose weight, no doubt, ‘cause I had tried many times, but my chiropractor had a very stern, but loving talk with me.” Dr. Scott Coletti spoke about the serious issues she would be facing in a 5’2” frame that was carrying 324 pounds. Although she had been a patient of the practice, it was not the doctor she would normally have visited with, which allowed this talk to stand out even more in her mind. Lena made the decision to turn this weight around for good. Lena has tried numerous diets and programs throughout her life, and says that she, like most heavy people, knows all the tricks and tips to weight loss. She had tried the appetite suppressants in the past and knew they didn’t work for her. She decided to embark on a journey that included hypnosis. Earlier in her life she had ‘fallen” into using a trance state and discovered that it really worked for her. It helped her transition from knowing what to do into actually doing it. Lena chose to go through a program known as the VirtualGastric Band™ (VGB). This is a procedure of hypnotherapy developed to train the brain to sense that the stomach has been reduced. 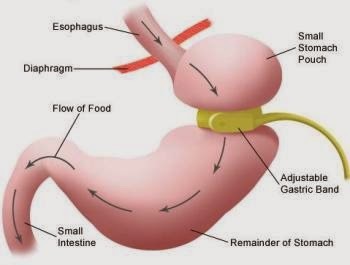 The sensation is similar to the actual Gastric Band (Lap Band) surgical procedure where a band is placed around the top portion of the stomach creating a small pouch. This creates a feeling of being fuller with less food consumed and significant weight reduction is achieved. The VGB procedure is natural, safe and non-invasive. Lena was from day one an exemplary client. One of the agreements in the program is that a client will purchase an item of clothing in their desired size. This is to be placed where it will be seen daily. I am insistent that it is something new, past purchases represent past failure. She not only bought the dress she wanted, she named it. She has kept the outfit wherever she was around her home and even put a picture of it on her cellphone wallpaper to view when away from home. Lena and her outfit have had some serious conversations when she has been tempted to cheat. Although Lena has had tremendous support from Margo, the same friend who used to tie her shoes and she knows she can call her if feeling tempted to get the reminders of why she is doing this. However, not all friends are the same and so Lena believes that you have to be able to walk this journey on your own, because at the end of the day, it is only you who will step on that scale. With as much weight as she needed to shed, there were some moments of temptation and self-doubt. That is when she would listen to her hypnosis audios from the sessions we shared. I asked Lena what she liked best about the Virtual GastricBand™ program. This was her response: “What did I like best about the hypnosis sessions? I imagined the session would focus on what I ate and how much exercise I did. Boy was I wrong. The sessions were not just focused on what I ate and how much exercise I did or didn’t do that week. Of course we did discuss those things. However during the session you asked questions like what’s going on? With that being said, it was up to me to decide what I wanted/needed to talk about. You were more like a facilitator or guide. My answer would generate more questions on your part. By you asking the probing questions we’d get to what the actual issue was. Then another question to help me think about how I could handle the issue/stress in the future. After Lena dropped some Zumba flyers by his office, Dr. Coletti called Lena to congratulate her on the changes she has made. She said it was a great 15–20 minutes with a “whole lotta love”. Lena has invited me to join in her Zumba classes and I can attest to her energy in those classes. When asking Lena if she had any final words for others who want to drop weight and have tried all the usual ways. Her response was, “Overweight people have tried so many things, so why not try stepping outside the box?” She says that feeling the band in her stomach and working on her reasons for overeating have changed her for life!